Hugo Gernsback (/ˈɡɜːrnzˌbæk/; born Hugo Gernsbacher, August 16, 1884 – August 19, 1967) was a Luxembourgish-American inventor, writer, editor, and magazine publisher, best known for publications including the first science fiction magazine. His contributions to the genre as publisher–although not as a writer–were so significant that, along with the novelists H. G. Wells and Jules Verne, he is sometimes called "The Father of Science Fiction". In his honour, annual awards presented at the World Science Fiction Convention are named the "Hugos". Gernsback was born in 1884 in Luxembourg City, to Berta (Dürlacher), a housewife, and Moritz Gernsbacher, a winemaker. His family was Jewish. Gernsback emigrated to the United States in 1904 and later became a naturalized citizen. He married three times: to Rose Harvey in 1906, Dorothy Kantrowitz in 1921, and Mary Hancher in 1951. In 1925, he founded radio station WRNY, which was broadcast from the 18th floor of the Roosevelt Hotel in New York City. In 1928, WRNY aired some of the first television broadcasts. During the show, audio stopped and each artist waved or bowed onscreen. When audio resumed, they performed. Gernsback is also considered a pioneer in amateur radio. Before helping to create science fiction, Gernsback was an entrepreneur in the electronics industry, importing radio parts from Europe to the United States and helping to popularize amateur "wireless". In April 1908 he founded Modern Electrics, the world's first magazine about both electronics and radio, called "wireless" at the time. While the cover of the magazine itself states it was a catalog, most historians note that it contained articles, features, and plotlines, qualifying it as a magazine. Under its auspices, in January 1909, he founded the Wireless Association of America, which had 10,000 members within a year. In 1912, Gernsback said that he estimated 400,000 people in the U.S. were involved in amateur radio. In 1913, he founded a similar magazine, The Electrical Experimenter, which became Science and Invention in 1920. It was in these magazines that he began including scientific fiction stories alongside science journalism—including his own novel Ralph 124C 41+ which he ran for 12 months from April 1911 in Modern Electrics. He died at Roosevelt Hospital in New York City on August 19, 1967. Gernsback provided a forum for the modern genre of science fiction in 1926 by founding the first magazine dedicated to it, Amazing Stories. The inaugural April issue comprised a one-page editorial and reissues of six stories, three less than ten years old and three by Poe, Verne, and Wells. [a] He said he became interested in the concept after reading a translation of the work of Percival Lowell as a child. His idea of a perfect science fiction story was "75 percent literature interwoven with 25 percent science". He also played an important role in starting science fiction fandom, by organizing the Science Fiction League and by publishing the addresses of people who wrote letters to his magazines. Fans began to organize, and became aware of themselves as a movement, a social force; this was probably decisive for the subsequent history of the genre. He also created the term "science fiction", though he preferred the term "scientifiction". In 1929, he lost ownership of his first magazines after a bankruptcy lawsuit. There is some debate about whether this process was genuine, manipulated by publisher Bernarr Macfadden, or was a Gernsback scheme to begin another company. After losing control of Amazing Stories, Gernsback founded two new science fiction magazines, Science Wonder Stories and Air Wonder Stories. A year later, due to Depression-era financial troubles, the two were merged into Wonder Stories, which Gernsback continued to publish until 1936, when it was sold to Thrilling Publications and renamed Thrilling Wonder Stories. Gernsback returned in 1952–53 with Science-Fiction Plus. Gernsback was noted for sharp (and sometimes shady) business practices, and for paying his writers extremely low fees or not paying them at all. H. P. Lovecraft and Clark Ashton Smith referred to him as "Hugo the Rat". Gernsback's venality and corruption, his sleaziness and his utter disregard for the financial rights of authors, have been well documented and discussed in critical and fan literature. That the founder of genre science fiction who gave his name to the field's most prestigious award and who was the Guest of Honor at the 1952 Worldcon was pretty much a crook (and a contemptuous crook who stiffed his writers but paid himself $100K a year as President of Gernsback Publications) has been clearly established. At any rate, his main influence in the field was simply to start Amazing and Wonder Stories and get SF out to the public newsstands—and to name the genre he had earlier called "scientifiction." Frederik Pohl said in 1965 that Gernsback's Amazing Stories published "the kind of stories Gernsback himself used to write: a sort of animated catalogue of gadgets". 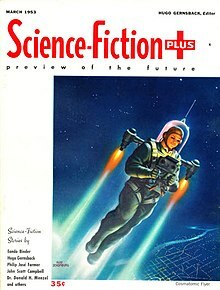 Gernsback's fiction includes the novel Ralph 124C 41+; the title is a pun on the phrase "one to foresee for many" ("one plus"). Even though Ralph 124C 41+ has been described as pioneering many ideas and themes found in later SF work, it has often been neglected due to what most critics deem poor artistic quality. Author Brian Aldiss called the story a "tawdry illiterate tale" and a "sorry concoction", while author and editor Lester del Rey called it "simply dreadful." While most other modern critics have little positive to say about the story's writing, Ralph 124C 41+ is considered by science fiction critic Gary Westfahl as "essential text for all studies of science fiction." Gernsback's third (and final) novel, Ultimate World, written c. 1958, was not published until 1971. Lester del Rey described it simply as "a bad book", marked more by routine social commentary than by scientific insight or extrapolation. James Blish, in a caustic review, described the novel as "incompetent, pedantic, graceless, incredible, unpopulated and boring" and concluded that its publication "accomplishes nothing but the placing of a blot on the memory of a justly honored man." The Hugo Awards or "Hugos" are the annual achievement awards presented at the World Science Fiction Convention, selected in a process that ends with vote by current Convention members. They originated and acquired the "Hugo" nickname during the 1950s and were formally defined as a convention responsibility under the name "Science Fiction Achievement Awards" early in the 1960s. The nickname soon became almost universal and its use legally protected; "Hugo Award(s)" replaced the longer name in all official uses after the 1991 cycle. In 1960 Gernsback received a special Hugo Award as "The Father of Magazine Science Fiction". The Science Fiction and Fantasy Hall of Fame inducted him in 1996, its inaugural class of two deceased and two living persons. Science fiction author Brian W. Aldiss held a contrary view about Gernsback's contributions: "It is easy to argue that Hugo Gernsback ... was one of the worst disasters to hit the science fiction field ... Gernsback himself was utterly without any literary understanding. He created dangerous precedents which many later editors in the field followed." 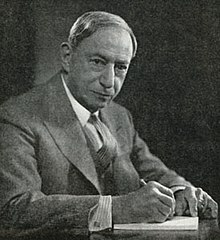 Gernsback made significant contributions to the growth of early broadcasting, mostly through his efforts as a publisher. He originated the industry of specialized publications for radio with Modern Electrics and Electrical Experimenter. Later on, and more influentially, he published Radio News, which would have the largest readership among radio magazines in radio broadcasting's formative years. He edited Radio News until 1929. For a short time he hired John F. Rider to be editor. Rider was a former engineer working with the US Army Signal Corps and a radio engineer for A. H. Grebe, a radio manufacturer. However Rider would soon leave Gernsback and form his own publishing company, John F. Rider Publisher, New York around 1931. Articles that were published about television were also tested in this manner when the radio station was used to send pictures to experimental television receivers in August 1928. The technology, however, required sending sight and sound one after the other rather than sending both at the same time, as WRNY only broadcast on one channel. Such experiments were expensive, eventually contributing to Gernsback's Experimenter Publishing Company going into bankruptcy in 1929. WRNY was sold to Aviation Radio, who maintained the channel part-time to broadcast aviation weather reports and related feature programs. It left the air in 1934. ^ The first eight monthly issues included installments of at least one Verne story and for more than two years every one featured a Wells story. ^ a b "Hugo Awards". The Locus Index to SF Awards: About the Awards. Locus Publications. Archived from the original on 2010-01-03. Retrieved 2013-03-24. ^ "Look! Up in the sky! It's a Jew! - New Jersey Jewish News". njjewishnews.com. ^ O'Neil, Paul (July 26, 1963). "Barnum of the Space Age". Life. New York: Time. 55 (4): 62–68. ISSN 0024-3019. ^ a b c Hugo Gernsback at the Internet Speculative Fiction Database (ISFDB). Retrieved 2013-04-20. Select a title to see its linked publication history and general information. Select a particular edition (title) for more data at that level, such as a front cover image or linked contents. ^ "Hugo Gernsback Is Dead at 83. Author, Publisher and Inventor. 'Father of Modern Science Fiction'. Predicted Radar. Beamed TV in '28. 'One to Forsee [sic] for All'". The New York Times. August 20, 1967. Retrieved 2010-12-06. Hugo Gernsback, an inventor, author, editor and publisher who has been called the father of modern science fiction, died yesterday at Roosevelt Hospital. He was 83 years old and lived at 263 West End Avenue. ^ a b Gunn, James (2002). The Road to Science Fiction: From Wells to Heinlein. Scarecrow Press. ISBN 978-0810844391. ^ Pohl, Frederik (December 1967). "On Hugos". Galaxy Science Fiction. pp. 6, 8. ^ Bleiler, Everett F. (1990). Science-Fiction, The Early Years. Kent State University Press. p. 282. ^ Banks, Michael A. (1 October 2004). "Hugo Gernsback: The man who invented the future. Part 3. Merging science fiction into science fact". The Citizen Scientist. Society for Amateur Scientists. Archived from the original on 26 February 2011. Retrieved 2007-02-13. ^ Ashley, Mike; Ashley, Michael; Lowndes, Robert A. W. (2004). The Gernsback Days. Wildside Press LLC. p. 241. ^ De Camp, L. Sprague (1975). Lovecraft: a Biography. Doubleday. p. 298. ISBN 0385005784. ^ Resnick, Mike; Malzberg, Barry (Dec 2009 – Jan 2010). "Resnick and Malzberg Dialogues XXXXVI: The Prozines (Part 1)". The SFWA Bulletin. 43 (5): 27–28. ^ "Larry McCaffery -- An Interview with Jack Williamson". www.depauw.edu. ^ Westfahl, Gary (1999). The Mechanics of Wonder: The Creation of the Idea of Science Fiction. Liverpool University Press. p. 135. ^ Shippey, T. A.; Sobczak, A. J. (1996). Magill's Guide to Science Fiction and Fantasy Literature Volume 3: Lest Darkness Fall. Salem Press. p. 767. ^ Westfahl, Gary (1999). The Mechanics of Wonder: The Creation of the Idea of Science Fiction. Liverpool University Press. p. 92. ^ Westfahl, Gary (1999). The Mechanics of Wonder: The Creation of the Idea of Science Fiction. Liverpool University Press. p. 93. ^ del Rey, Lester (June 1972). "Reading Room". If. p. 111. ^ "Minutes of the Business Meeting 1991". World Science Fiction Society. Archived from the original on 2011-05-07. Retrieved 2013-03-24. Preliminary Session #1, Item E.2; Main Session #1, Item F.3 (August 30/31, 1991). ^ "The Hugo Awards by Year". World Science Fiction Convention. 1960. Archived from the original on 2013-01-20. Retrieved 2013-02-03. ^ "Gernsback, Hugo" Archived 2015-03-27 at the Wayback Machine. The Locus Index to SF Awards: Index of Literary Nominees. Locus Publications. Retrieved 2013-03-24. ^ "Science Fiction and Fantasy Hall of Fame" Archived 2013-05-21 at the Wayback Machine. Mid American Science Fiction and Fantasy Conventions, Inc. Retrieved 2013-03-23. This was the official website of the hall of fame to 2004. ^ Massie, K.; Perry, S. D. (2002). "Hugo Gernsback and radio magazines: An influential intersection in broadcast history". Journal of Radio Studies (9): 264–281. ^ Stashower, D. (August 1990). "A dreamer who made us fall in love with the future". Smithsonian. Vol. 21 no. 5. pp. 44–55. 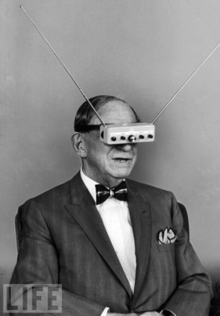 Wikimedia Commons has media related to Hugo Gernsback. "Hugo Gernsback biography". Science Fiction and Fantasy Hall of Fame. This page was last edited on 24 March 2019, at 22:34 (UTC).